Dentist in San Marcos Says Use Your 2017 Dental Benefits! It’s almost time to wrap up what no one can deny has been a pretty strange year. And while the holidays may still seem far away, there’s never been a better time to start planning a visit to your dentist in San Marcos — especially if you have dental insurance! Most insurance plans are based on a calendar year, meaning your benefits are set to expire when the clock runs out on 2017. Any money you have accrued toward your deductible will be lost and you will begin again at $0. So what can you do? Act now and your dentist will have your smile clean and healthy in time to welcome the new year! Each month, you pay a fee (your deductible) in exchange for certain benefits from your insurance provider. When you visit a dentist who accepts your plan, you can receive preventive and restorative treatments at a set reduced rate. 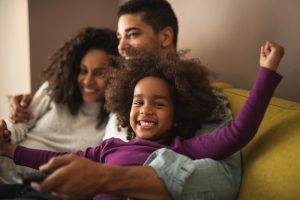 If you need anything beyond preventive exams, your dental insurance should cover necessary treatments up to 80% once you have met your deductible. During the years you do meet your deductible, you will want to make sure you get as close to your annual maximum as possible. To find out the details of your plan — including whether or not you have met your deductible — do not hesitate to get in touch with your dentist for a verification of benefits. People who have dental insurance are eligible to receive a number of preventive services at absolutely no cost. The six month checkup and cleaning is the foundation of every healthy smile. During this appointment, the dentist check for cavities and remove the plaque and tartar that causes them. By monitoring your gum health, we can also help you prevent periodontitis, a condition that puts your overall health at great risk. While you’re planning your fall schedule, don’t forget that the six month checkup and cleaning is totally free with dental insurance. Have you had two in 2017? If not, it’s time to schedule one today! Smile Bright for the Holidays! November and December are the busiest months for a dentist’s office, as people get serious about looking their best for the holidays while also trying to make the most out of their dental insurance. To ensure you get the most convenient scheduling and that you can welcome the new year with the cleanest, healthiest smile possible, get in touch with your dentist today — and let them know you are trying to maximize on your 2017 dental insurance benefits when you do! 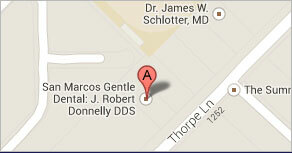 Dr. J. Robert Donnelly is a local leader in general, restorative, and cosmetic dentistry. 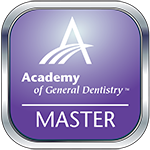 To learn more about his services or to schedule an appointment to maximize on your insurance benefits, we invite you to contact San Marcos Gentle Dental at (512) 396-5225 today. Comments Off on Dentist in San Marcos Says Use Your 2017 Dental Benefits!